Having entered the work force as an architectural draftsman at the age of 16, Brian worked part time and full time for numerous architects and engineers over a 10-year period while he completed his Bachelors and Masters degrees of Education with a Fine Arts major from Okanagan College and Brigham Young University. In his early years he was a draftsman, a painter, an architectural model builder and an illustrator of numerous publications and articles. 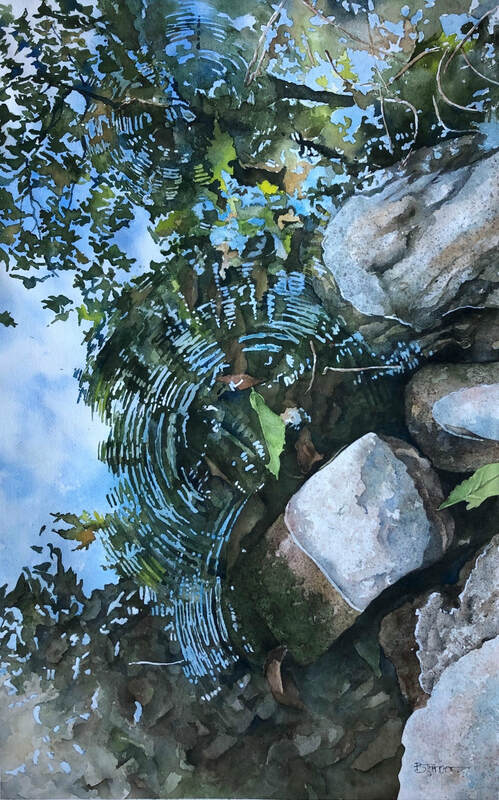 His production of artwork was laid aside during much of his teaching career and has been re-ignited following retirement in the medium of watercolor. His artwork strives to express his deeply rooted love of the Canadian landscape which is a result of having lived in Saskatchewan, British Columbia, Alberta and Ontario along with recurrent career related travels across Canada. This fast paced digital world we have created is reducing the beauty of our Canadian environment into a vast unseen backdrop. Brian feels the artist can be a connector between man and the forgotten majesty of this vast quiet world. An artist can help us capture the memory of quiet days in nature’s soul soothing embrace and help draw us back to heartfelt memories of peace that have slipped away in the busyness of our day to day lives.